&picturesHD – India’s premium mass Hindi movie channel keeping its promise of #HDfirst will premiere ‘Tamasha’ on Saturday, 30th April at 8 PM. Directed by the luminous Imtiaz Ali, the Deepika Padukone & Ranbir Kapoor starrer is a movie about the journey of someone who has lost his edge trying to behave according to socially acceptable conventions. It is based on the central theme of abrasion and loss of self that happens as one attempts to fit in society. Here’s why the film is a must watch! 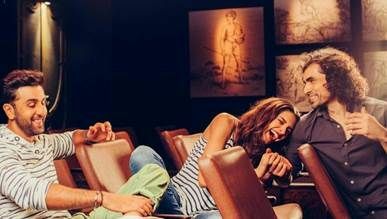 Imtiaz Ali revealed that the concept of the film comes from the fact that some people are not used to their full potential if they do not find the path that they are suited for. One such character is Ved (enacted by Ranbir Kapoor), who is in a world which is not suited to him. He portrays an inner fight between acceptance of societal norms and pursuing one’s passion. We relate to his dreariness… which we sometimes conveniently refer to as ‘schedule’. Imtiaz Ali’s films are known to be around the change that travel and exploration can bring in one’s life. And Tamasha is no different. It is interesting to see how the movie explores new lcountries with love as the core theme coupled with many twists and turns. The exotic locations of Corsica, Tokyo, Delhi, Shimla and Kolkata blends into the movie beautifully and gives the movie a deserved texture. The characters in the movie come alive and how! Deepika as Mona Darling and Ranbir as Don are very fresh to watch and are the pulse of the movie. The bohemian, starry eyed – Don is a treat to the audience and the fashionable Mona Darling is no less. Together, they set out to explore the picturesque French island with terms and conditions applied, ofcourse! With Oscar winning composer A R Rahman having curated the music for the film, it is definitely one the biggest reasons to watch the movie. Irshad Kamil’s lyrics touch the soul and add a new dimension to the story. From ‘Matargashti’ to ‘Heer Toh Badi Sad Hai’, the songs evoke a series of emotions in the hearts of the viewers. The music with the amazing visuals will definitely leave audiences spellbound. You cannot deny the sizzling chemistry between Ranbir Kapoor and Deepike Padukone. But that apart, it is undeniably one of the best performances of Ranbir Kapoor in a really long time. 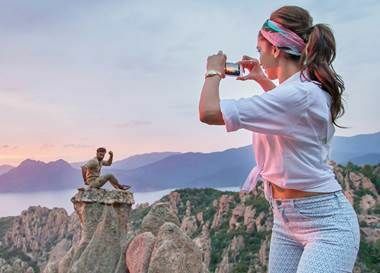 And the queen of beauty Deepika Padukone will make you fall in love with her once again through Tamasha. Add to it, the sheer brilliance of Imtiaz Ali and its bound to be magical! Sounds like a beautiful movie and really want to watch it some time. PicturesHD seems to be not in the package we chose in sun direct hd. Haven’t seen it yet, should see.